Captain and owner of the AAV "Raziel"
Physical appearance : Tall, about 6 foot 5, face concealed by gas-mask, wears a tattered dark red uniform with a tarnished breastplate. Any visible hair is grey, and from the sides of the mask protude waxed mutton-chop sideburns and a long-ish mess of hair. Biography : Count Saxe-Herzgova was once a trusted advisor of the Czar of Belogravia, However, when they invaded the Americas via a giant temporal rip, he was lost on the retreat, and emerged in this version of london. His only wish is to get back to his Czar, and he will accomplsh this in any way. He is amoral, sadistic and calculating. He has commited many, many crimes, and has murdered all those who have tried to stop him. He will happily kill for fun, and indeed does kill for fun. He regards the Ignoble retreat as a disaster on the part of Count Treiginn, the Czar's other advisor, almost the total opposite of the vile von Saxe-Herzgova.He hates kittens. He is prone to random changes in personality, and will often forget things, such as people he is holding in his mailed fist. If anyone wants to play around with him when I am not go right ahead. Physical appearance : Around 5'9 muscular from working on airships for many years before purchasing his own. Green eyes, black hair that is always tamed in to a fashionable style. A small scar on his cheek just below his right eye from a knife fight he isn't very proud of. He normally wears black pants a long black pea coat with his own symbol on the breast of a green star on a blue circle. Capitan of The Eastern Star. Is slowly trying to carve out a place for himself in the criminal underworld and it was going well until Emma ran off taking her technology that he had been using as a bargaining tool. Now the pressure is on for him to find her before anyone else does because he knows if the Russians figure out they can cut out the middle man(Both literally and figuratively) they will. Is amazingly good at manipulating people but may have gotten in over his head this time. Born in to the depths of London's underworld and looked up to the local bosses but lacked the respect for authority to work his way up the hierarchy. Left aboard an airship as soon as he was able has never looked back. Won his own ship through hard work, trickery and theft in equal measures. Unsatisfied with the funds and respect earned in legal trade he turned to smuggling and that led him to more risky and rewarding ventures. On tips that the arms and technology market in Russia was paying well for anything and everything it could get it's hands on he stared looking for some one that could provide him with a way in. After several scientists and engineers either were unable to deliver functioning prototypes or used his money to develop something and then stole it to sell on their own he decided that from then on he was going to be in his control at all times. He found Emma through one of his oldest contacts who warned him that she was odd and that if he didn't act fast their were others who might turn their eyes her way. The contact even gave him something that was guaranteed to make her stay for a small extra fee. She was safely aboard The Star within the week and the French scientist's notes kept her there. Capitan Hieronymus may not have had any scientific skills on his own but he excelled at finding criminal applications for whatever was at hand. Emma created and he marketed and they were successful even if Emma had no clue what was going on. If no-one minds, I would be happy to pick up this character.. It would be a nice tie in - an armed airship, with possible links to the Russians, and a few otehr scores to settle..
After all, I really can;t do much with Hiram in London, until the Boheme and its merry gang have returned there.. This would be a nice opportunity to bedevil our happy adventurers. Let me know if that's ok, and I'll get a post up as soon as I hear..
That would be fine with me. I know he will be in good hands with you and I am not particularly good at being villainous. Too much of a softy I suppose. I'm just over half-way to overlord. I enjoy doing the villain parts, I find its a bit more challenging sometimes. So? Another villain from the good Doctor! good, the more the merrier.. Nationality: Born in London’s underbelly to immigrant parents from Japan and Brazil. Physical appearance: Mostly unchanging factors in her appearance are her average height, buxom figure, large almond shaped eyes eyes and a strong but attractive face. Her other features are changed to suit her current job. If it doesn’t require anything specific she goes for long dark brown hair and brown eyes, with her natural olive skin. Profession / job title: Mercenary, assasin and spy for hire. Arkham is nothing if not an actress. Rather than your average stalk-and-kill assassin, Arkham takes more complicated commissions that require infiltration, gaining trusts and secrets, and getting close into groups of people almost impenetrable to anyone else. She has no supernatural ability to appear as someone else, but is a master of dialects, accents and several common languages*, as well as creating a persona for herself which is 100% believable. She also makes use of prosthetics, wigs and makeup. Although her kill totals are lower than a lot of contract killers who are hired for fellow Underworld-dwellers, she has the highest rate of success for infiltration and murder of Upper-London targets, for those who are counting. She has only ever been caught out once – when she was commissioned to kill a notable aristocrat. 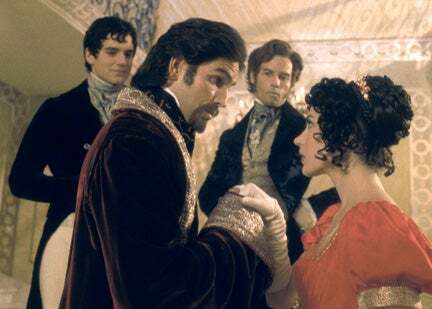 With the guise of a daughter of a wealthy Spanish noble, she spent two months infiltrating his circle of friends and was so successful he took her as his mistress, but when it came time to take him out she was caught in the act (stabbing him repeatedly) by a servant. Needless to say, the terrible fire that killed over 30 people was no accident. The remains of those poor souls were never properly identified, but the saddest scene was perhaps the charred bodies of the aristocrat and his ‘Spanish mistress’ lying peacefully in bed. Assumed dead, there was no trail back to Arkham and she took great measure to make cleaner kills, though sometimes she cannot resist a little brutality. She feels no empathy or remorse for her targets, whether that is natural or trained is not clear. But it makes her ruthless and dangerous. Arkham also has a skill in procuring and administering poisons. It is her preferred method of murder. Other favoured weapons are poison darts, throwing stars, and a crossbow with particularly nasty shatter-bolts. I should like to join, if I may? I, too, feel there should be villains so that the heros/heroines can shine so I have joined with the Good Doctor to give them a run for their money. Physical Appearance: 6 foot tall, broadly built. Close cropped hair that was once a deep mohogany color, but now mostly grey. Grey-blue eyes. A large scar down the left side of his craggy and weathered face from jaw to hairline: not a handsome man. Wears Belgravian Combat dress for his rank and unit: Heavy field grey greatcoat with epaulets, red military tunic, white rank sash, Őr Kutyák gorget, Mechanical pistol, combat short sword, jackboots, Tschakpa-style Helmet with HLE mask (similar to a gasmask) attached. All badly worn out. Biography: Originaly a sotnik in the Streltsy of Tzar Aleksandr II (the Fool) Nikolaevich before the Grand Duchy of Muscovy was "absorbed" into the Belogravian Empire. After winning repute as a ruthless and cunning mercenary commander in Belogravia's many wars of expansion, he was hired by the Count Saxe-Herzgova in 1871 and has been in his employ ever since as Capitan of the Personal Guard: the "Őr Kutyák", a position he finds quite satisfactory and lucrative even though the Count is a homicidal maniac. He managed to escape the Retreat with the Count and a few surviving Őr Kutyák and is trying to return to his own World-line. Excellent, now the Cound has henchmen. Physical appearance : Patrick is roughly five foot four, his thick, wild, red hair hair is a thick, hive of curls and twists, dangling just above his eyebrows. His brown eyes are hidden behind goggles held by bronze frames, when not hiding these eyes, his goggles often will be keeping his hair up and his pale, smooth forehead exposed. He is missing part of his right eyebrow and earlobe after a water tank he had been repairing exploded. Streakign his freckled right cheek with long, thin, pink scars that tend to glisten when he is stressed. His build is that of a rather tense wild dog, by which I mean that he is thin yet his musculature is wiry and fit, He dare not become a bulking mass, as his job often requires him to reach his ligaments (and often his whole self) Into the very workings of various forms of transportation or industrial workings. He is often seen wearing a loose fitting, grease-stained whitish-grey button up shirt beneath a thick, leather vest. hanging at his side is a cylindrical box roughly the size of your modern shoebox. Within this cylider is a variety of various tools and trappings, as well as anything he might find interesting. at his side is a pair of necessities for a man of his job, guns and a sword. The guns are double barreled flintlock pistols with nothing particularly special about them. His sword is moreso interesting in the fact that in the place of a pommel, it had an adjustable pair of fully functioning monkey wrench jaws. Profession / job title: Patrick is what you would call a 'Field engineer' a person proffessionalized in fixing things in terribly dangerous situations, as for his passion for his job, it tends to fluxuate depending on the danger of the thing he is fixing, and the danger of the thing(s) keeping him from fixing it. Biography : Patrick was born in a very aquard position, that is to say, he was born as his mother was swinging from a tree by her neck in a small villa several miles south of Dublin. After being taken in by the local convent, he found his true calling in a pile of books from the town library that were to be set ablaze by the said convent due to their notions of science and engineering, both seen by the tiny local church as 'The Devils work' and therefore needed to be burned. After stashing several of the books in his room his mind absorbed the information like a sponge. Eventually the convent found his books and kicked him out at age 11. He left Ireland's coasts and worked for 3 years on the deck of an air pirate ship, a seemingly cushy job until one puts into consideration the fact that the ship had a deckboard motor, and was frequently boarded. After nearly being run through by the ship's mast in an incident involving a sky kraken and some curry powder, he dropped himself off at a local port, and since then has opened a 'Field engineer for hire' buisness. Physical appearance: Approximately five foot eleven, weighing in at 180lbs, Jack is a well-muscled, athletic individual who has obviously seen his share of action, given the numerous scars on his body (in particular, a single, jagged line over his right eye). His features, otherwise, are chiseled and handsome; his stubbly beard and long hair giving him the appearance of a swarthy rogue. His attire is particularly indicative of his rough and tumble demeanor, with a consistent history of repaired damage to his trademark brown canvas slacks, heavy-duty boot gaiters, leather trapper vest, and a button-up shirt that might have once been white, but is now a dull tan. Born to the 1st Baron Aveland and Maria Ximena Diaz, a Spanish noblewoman from Bilbao, Juan grew up in a life of absolute privilege, living his life to the excesses and mingling only with the higher-ups of society, as he developed a disdain for those "below him". However, after the death of his father and during one fateful walk through the gaslit London night where he was attacked by a band of street ruffians, Juan's outlook on life changed. If he could be attacked so easily and just by common thugs, imagine what evil men of a higher capability could do? As such, while he still maintains a life of decadence and indulgence, he has finally completed his "belleza": The Airship Baudelaire, after the famous Dandy author from France. He now plans to seek a crew and once gotten, will dedicate his life to seeking adventure around the world while stopping evil dead in its tracks wherever he can find it. Nationality (place of birth) : Somewhere in the Far West Territories of America. Currently resides in London. Physical appearance : Approxmiately 5'7" (170cm), Corwin is a lithe figure, a shock of red hair spiking up above his ubiquitous Airship goggles. A cream linen shirt, hunter-green day cravat poking out of the open collar, is covered by a pinstriped charcoal vest, brass buttons etched with sigils extending along his right collarbone, then dipping down to the vest's hem. Matching charcoal pants drape down to break softly over black leather wingtips. Strapped about him is an odd assortment of tools and gadgetry. Leather cuffs, almost invisible beneath spring-loaded mechanisms; a small silver tank strapped to his back and attached with hoses to a mask hanging around his neck; elaborately designed carbine in a leather sheath at the small of his back. Notes: I can join in to whichever story/stories are taking place at anytime. If you just need an extra crew member, body to have around, I'm there. I do have my own ship in plans, but nothing set, as I want it to blend right in with the rest of the story. Nationality (place of birth) : Irish. Born in Dublin, Ireland. At the age of 10, moved to Manchester to study aeronautics and engineering. Physical appearance : 6'1" tall, approx. 182 ibs., medium build, short brown hair, wears reading glasses occasionally, out on the job he'll often wear old pair of goggles around neck, grey jacket, twill, long sleeve shirt or sometimes a dark colored wool sweater with wool sleeves which extend past jacket, tan pants, riding boots when piloting his rail-boat, black dress shoes when going out on the town. Often seen on his person is a pocket watch, a journal, and writing utensils. Weapons include a gentleman's sword which, when sheathed, resembles a straight walking cane which is sometimes held in hand or on hung from his left hip. A large pistol is also holstered on his upper right thigh with the word "Persuader" emblazoned, but worn on the barrel. Birthplace:- The Royal Palace, St. Petersburg. Residing in London. Disinherited and exiled for unknown reasons. (New Scotland Yard keeps a very close eye on him). Anyone can play with him, if they wish too. Nationality (place of birth) : Though reluctant to speak of exactly where his birthplace is, a keen ear can sometimes note what seems to be a hint of Scots accent in his voice, esecially when stressed. Physical appearance : Nathaniel is a relatively tall young gentleman, standing about six feet in bare soles and of slender build (175 lbs., by the common measure). If steampunk had an iconic persona, Nathaniel, while not it, surely would seem to be trying eagerly for the position. His hair was dark brown, seemingly outright black in certain light, and of a bit less than shoulder length, kept back by the riveted-leather straps of his brass-rimmed goggles, his eyes of icy blue seeming to dance behind green-tinted lenses which he seeming never removed. The rest of his garb was at first glance rather unremarkable, being a long duster-coat left half-buttoned to show a simple machinist's shirt, fingerless leather gloves, and sturdy ironworker's boots. But, to open that coat, one would find more... his workman's overalls - and the belt that accompanied same - bearing all manner of pockets and pouches, themselves almost always bearing some manner of coil or sprocket or bolt or other trinket of clockwork nature. Most distinct, however, kept at his side like a huntsman's knife or the sword borne by knights of yore, was a large adjustable wrench of solidly-forged steel - it, along with a few small mallets and screw-turning tools seemed the only metalwork on him not of brass or copper. Indeed, such a hefty implement could serve both as tinker's tool and improvised bludgeon, if need be, it seems. Profession / job title : Though none of his training was formal, only self-taught, Nathaniel has an amazing knack for clockwork and machinery, and more than once has attained monies by passing himself off as a for-hire repairman or mechanist. Steam (love of the romantic view of Victorian-era industrialization) - Punk (I don't really give a damn what you think of my goggles and top hat). Around her neck at almost all times is a clock key, sometimes hidden under her shirt. Born to a Clockmaker and his wife in a small village just outside of england Jennette grew up loved and dotted on by her mother but hated by her clockmaker father, who had wanted a son and instead got a daughter. As she grows it becomes obvious she has a great talent for clockwork and has the potential to even outshine her father, who she quickly does. at 17 Jennettes mother passes away from consumption and the clockmakers treatment of his daughter gets worse. she wants to build and fix clocks and he wants her to shut up, stay quiet, do the cooking/cleaning and get married off to "the first idiot who'll take you." not one to just sit back and let this happen, jennett finally gets fed up with her sub par life. taking most of her things and stealing a good handfull of money and some clothing left by a young man who her father had hired she runs away. feeling she'll recieve the same treatment for being a girl as she got from her father she binds her chest, hides her long hair in a hat, and wears boys clothing to masquerade as a boy. using her surname and an old nickname she guards her first name like a national secret. Stands at an average 5'5", with a thin frame. Has long, dark brown hair worn loose under a pair of green-tinted aviator goggles. Vaguely crooked teeth and strident, sharp features. Her eyes are a dark shade of green, and she wears a passable amount of make-up daily. Regular outfit consists of a dark tan button-up shirt worn under a black, underbust corset, brown trousers with a white belt, and sturdy, black, lace-up boots. In addition, she totes a small raygun in a leather belt holster, and is often seen with a much larger long-range rifle carried on her back with a shoulder strap. She also owns a thick, light tan military jacket for colder weather. When she has to be a lady, McCannon throws on a black skirt and petticoat, white spats, and a pinstripe vest over a white blouse. Unable to resist, she also puts on a little tiny tophat. McCannon's parents, Wright McCannon and Delaney Cooper, met at the 1840 Worlds Fair, and promptly fell in love. Five minutes later, they were consummating their passion in her father's exhibit, a tent featuring an automatic omelette-maker. Shortly afterwards, Delaney and Wright boarded a dirigible bound for Delaney's home of Dublin, changed their minds halfway through, and have been hopping from country to country ever since. Their daughter was born aloft. After Iphigenia's birth, Delaney and Wright still traveled extensively, however, they purchased a number of small homes in Ireland, England, and France, using the money from Wright's maddeningly successful omelette-machine business. They spent roughly half their time in these homes, schooling Iphigenia, and the other half sailing through the stratosphere. When she was old enough to be left alone, Iphigenia stayed at the McCannon's home in London while her parents went on longer journeys and attended grown-up soirees. Shortly after Iphigenia's eighteenth birthday, she received news that her parents had been killed in an explosion during the unveiling of a new fleet of airships in the countryside. She bit her lip, packed up her belongings, thought about what she wanted to do, and proceeded to join a covert marzipan-smuggling operation, helping pilot a pirate airship to areas where sugar was rationed. Not being a very good criminal, McCannon was quickly identified and arrested by a zeppelin policing the skies above Surrey. Taken into custody by Geoffrey Rother, a Major in good standing with Her Majesty the Queen, McCannon proceeded to break down and ramble endlessly about how her hopes and dreams were going to be dashed. After Rother gave up on trying to ignore her, he listened to what she had to say. She said she had not only wanted to scour the skies, but that she wanted to see what was beyond them. She wanted to discover not only new lands, but wanted to rise above the clouds and discover new worlds. Seeing a sparkle of ingenuity in the midst of her crazy-talk, Rother had a conference with other upstanding members of Her Majesty's Air Force. With the Queen's consent, Iphigenia McCannon woke up the next morning, and found that she had been appointed the head of a hush-hush, developmental department of Her Majesty's Royal Air Force ultimately dedicated to space travel. After the construction of the HMS Ziggurat, an airship built to McCannon's specifications with a smaller balloon (filled with a mysterious gas the scientists assured her was ten times more lightweight than helium) than gondola, McCannon wandered the skies, finding crew members for this upcoming revolutionary journey, as the scientists back in London worked on getting the Ziggurat beyond the stratosphere. McCannon met the Brigadier Spenser Hawkes-Leggett at a tea party in the University of Edinburgh, who, after forging a friendship, was appointed First Mate of the Ziggurat. He also refers to her as "Iffy", and is the first person to do so without being thrown off starboard. Later on, McCannon met the esteemed and slightly off-kilter Adelaide Braun at a pub in San Francisco. She appointed her the navigator of the Ziggurat. "I'm a horrible Captain, why do you think they shoved me on the S.S. Failboat here?" I felt I should add myself to this, as Iffy has included me in her bio. Physical appearance : A bit on the short side for a man, Spenser has this dark hair that refuses to be disheveled, no matter how hard he tries. He's thin and not very muscular. His eyes are green and he wears a brown cap with a short brim, where his rather simple black flight goggles usually reside. He has a rather dirty white dress shirt that he wears under his thick, black double-breasted coat, which he never seems to take off. His tattered leather boots are hidden down to the ankle by brown pants with barely-visible yellow stripes, obscured by dirt, down each side. Profession / job title (if any) : Former American military officer, current First Mate aboard the British privateer Ziggurat. Hawkes-Leggett was born to loving, wealthy New York bookshop-owning parents. His schooling and youth were rather uneventful. He was quite clever and learned just as much (if not more) reading the many volumes in his parents' bookshop as he did at school. Enthralled by airships since he was very young, Leggett entered an officer school and quickly became an airship Captain. His brains canceled out his ineptness in and distaste for battle for a while, and while he was not good at his job by any measure, he was not the worst either. In this way, he worked his way up to the rank of Brigadier and was given the prestigious job of showing off a new airship design at a fair in the English countryside. He gave a theatrical faux-pre-battle speech atop a mound of supply boxes that culminated in the firing of a pistol into the air. Unfortunately for all involved parties, Hawkes-Leggett neglected to notice that one of the boxes upon which he stood contained gunpowder for cannons. A single spare spark from his pistol exploded the powder, destroying the airship. Spenser miraculously escaped death, as he had fireproofed his jacket with asbestos. After recovering from his leg burns in the hospital, Leggett was dishonorably discharged from the military in a rather public and embarrassing way. He no longer wanted to remain in the US, where nearly everyone recognized him as the famous but fate-forsaken fellow (as the newspapers liked to put it) who blew up his own zeppelin with only a pistol. He found his way to Edinburgh and worked briefly at the bookshop of some friends of his parents. One night, while at a tea party at the University of Edinburgh, he met the newly-employed privateer Iphigenia McCannon, whom he immediately took a liking to. She asked him to join the crew of her experimental airship, a position which he accepted at once. As he was the first to join the crew, he found himself First Mate. He began calling Iphigenia 'Iffy' at around this point, and was rather relieved to find himself still aboard the ship afterwards. This character is now up for grabs, mostly because I'm very busy and slightly ill. Please, remember he's evil, but also remember he has an odd kind of split personality. And his cat. Don't forget the cat. Bio: son of a minister. Born in the City state of Ten'asee usa, Finished high school at 12, gaind a double masters in advanced physics and chemestry by 17 at 18 moved to london, Built a time backpack went to futer and stole plans for an advanced air ship after returmn trip it blew up, built a teleporter back pack , still works. looking for job. Physical appearance :5'5 with a physique that speaks of a comfortable life. Going gray early like most of the men in his family. Ties his salt and pepper hair back most of the time to keep it out of the way. Light blue eyes. Wears well made but not flashy clothes in a slightly older style and darker colors. Has small silver spectacles for reading and magnifying loups for book repair. Has long careful fingers and very steady hands. Profession / job title Owner of Walker's books on Tinkers Row. Most of his business comes from specialized technical manuals, drafting supplies and rebinding older volumes. Rents an office to Lighton and Lewistine scientific consulting above his shop. Biography : Life was simple for Nathanial Walker, business was steady, Friends were plenty and he had all he wanted. When Miss Lighton came to inquire about his add in the paper for the office above his shop he thought she was odd but nice and rented it to her on the spot. Things ware going well until she left one evening and never came back. Now it looks like that opened a large can of worms because he caught someone braking in to her empty office that vanished in to thin air.